London, UK - Esoteric Recordings are delighted to announce the release of the first album collaboration featuring Peter Hammill, (Van Der Graaf Generator) and Gary Lucas, (Captain Beefheart, Jeff Buckley) . "OTHER WORLD" (EANTCD 1026) is released on 3rd February 2014. The fourteen track recording is a result of an invitation from Peter to Gary suggesting they might convene at the formers studio to see if some musical sparks might fly. Having first met in Aylesbury after a Hammill solo show in 1973, it was not until January 2012 that Gary arrived at the studio armed with instruments and some pieces which might be worth working on. As Peter explains in the notes below, sparks flew and against the odds, "OTHER WORLD" unfolded with seamless speed. The majority of the recordings are produced by Peter and Gary's guitars and Peter's vocal though they are aided by a couple of pieces of found sound and loops. When Gary arrived at my studio in January 2012 we didn't exactly have a grand plan about what we were about to attempt. He'd told me that he had some pieces which might be worth working on and that he'd also look forward to creating some improved sonics to which I might add something. For my part I'd prepared some looped pieces, some experimental sound washes and I, too, had a couple of bare-bone song ideas. Fundamentally, though, we probably thought we'd have done well if we managed to get an EP of some sort out of the session. We've ended up, I think, with something quite strange but strangely powerful. The music ranges from some kind of roots territory to the wildest of sound collages. All of it - bar a couple of pieces of found sound - is produced by our guitars and my voice. So far, so trad. It has, then, I suppose, some of the characteristics of a warped folk music...from another world. I was a Teenage Anglophile, particularly partial to psychedelic and progressive sounds from the UK, Syd Barrett's Pink Floyd, Family, Third Ear Band, The Nice, the Move, the Incredible String Band, Kevin Coyne, Dr. Strangely Strange. All were music to my ears then, coming of age as I did in the mid- 60's in the rather staid and moribund musical climate of Syracuse New York. As the music director of Yale's WYBC in the early 70's I dj'ed a show entitled "The Sounds from England (and other delicacies)" where I wore the grooves out of my rare English record collection. (The non-English "other delicacies" I spun on my program incidentally were Can, Amon Duul and ironically enough, Captain Beefheart and Tim Buckley). One of my favorite albums in this period I bought solely on the cover art alone in 1969 was Van Der Graaf Generator's"The Aerosol Grey Machine ," a highly atmospheric and mysterious album which I fell in love and played to death for my listeners and friends. In 1973, I took my first trip overseas performing lead electric guitar in the European premiere of Leonard Bernstein's "Mass" in Vienna with the Yale Symphony Orchestra. On the way back home I stopped in London for the very first time, partially because I had to finally experience it live for myself--and also to hopefully get some interviews with leading musicians for "Zoo World" magazine, a hip music newspaper out of Florida attempting to take on "Rolling Stone". Wandering into an HMV store on Oxford Street one day after arriving, about to penetrate the wilds of darkest Soho, I met a fellow enthusiast and rabid Peter Hammill fan, so much so that he had cut out a chameleon from styrofoam and installed it in the shop window to promote Peter's new solo album "Chameleon in the Shadow of Night". He was a huge fan. He told me excitedly that Peter was performing a rare solo concert up at the Friar's in Aylesbury later that week. Ringing my pal ZigZag editor Pete Frame, whom I'd bonded with in NYC a few months before at a Genesis show, I arranged to come up to Aylesbury to stay with him for a few days in order to catch this concert. On the night, Peter came on solo after a one-off instrumental set by Zox and the Radar Boys, featuring Phil Collins and Peter Banks and proceeded to blow everyone's mind with a hypnotic, stark, doom-laden suite of songs featuring his piano, acoustic guitar and that incredible other-worldly voice. Flash forward to London May 2005. I am seated at Royal Festival Hall with my friends, UK journalist Mike Barnes and former Propaganda vocalist Claudia Brucken, awaiting Van Der Graaf Generator's historic UK reunion concert. In a season of standout reunion shows I either attended or performed at, including Cream at Royal Albert Hall, Brian Wilson's "Smile" at Carnegie Hall, and the reunited Magic Band (of which I was a member) at Hammersmith Odeon, this particular concert was my absolute favorite. We'd never exchanged any tapes of our new music previously. The result to my ears is just...well, listen for yourself!! One trumpet and three saxophones (alto, tenor & baritone). That's Brass Jaw. This Glasgow-based band has already caught the attention of quite a number of jazz fans. The quartet displays great technique with powerful playing and fine compositions. 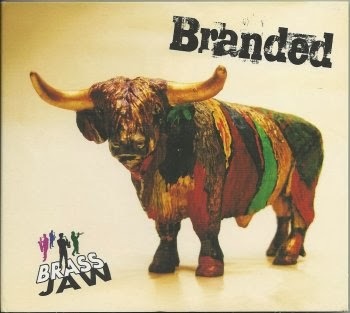 Most of the tracks on "Branded" are original compositions, but the album also includes The Beatles' 'Drive My Car' and Zappa's 'Peaches En Regalia'. The search for bands that play the music of Frank Zappa turned up another gem. Cinema Zuid (Antwerp) has some extra info on the Zappa films that they will be showing on the 19th of March, coinciding with the Arf Arf Arf! festvial. Ugly Radio Rebellion performs the music of Frank Zappa in Berkley (Michigan), u.s.a. on Sunday March 9, 2014, at the 'O'Mara Irish Pub'. 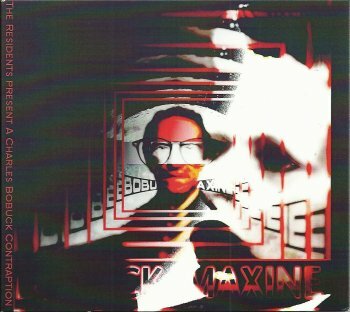 Last week, the latest Residents release arrived : "The Residents Present Charles Bobuck : Maxine / CB Suite". Beautiful experimental soundscapes. Superb stuff. The legendary Ike Willis will be joining Zappatika for three concerts in May. They will be performing the music of Frank Zappa in NL & the UK. The Torino Guitar Quartet recorded Frank Zappa's 'The Black Page' (beautiful !!) and 'Peaches En Regalia' (incredible !!) on their "Codex" album. Superb versions. Fine arrangements & incredible playing. 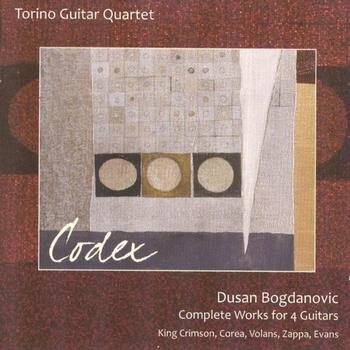 The same album also includes pieces by Dusan Bogdanovic, Kevin Volans, Bill Evans, King Crimson and Chick Corea. A superb addition to The Others Of Invention. The 1979 Montreux concert by Hermeto Pascoal. Italian jazz singer Barbara Raimondi offers a fine version of Frank Zappa's 'Oh No' on her "Accopiamenti Giudiziosi" album. Performed as a trio with Furio Di Castri on double bass (remember Furio from his "Zapping" project and from his collaboration with Gianluca Petrella !!) and Enzo Zirilli on drums. 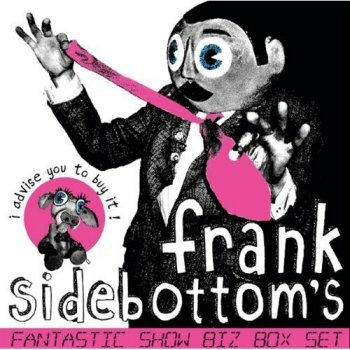 a 15 CD-box, including one album with unreleased / bonus material. Mambo's debut album, "Bertier", needs your attention. Not only do I love the album cover, the music is even better. This 10-track instrumental vinyl release sure is the discovery of the month. Bouncy quartet from belgium made up of members of Casse Brique, Volt Voice or Frank Shinobi, Mambo combines sonic energy with time-signature-laden mathematical rhythms. As you will hear, their influences dip into The Redneck Manifesto and Honey for Petzi keeping nonetheless a highly identifiable trademark. Currently working on new tunes, Mambo has just released a 10-track instrumental album, “Bertier”, available both as a download or LP. Give it a spin urgently, it might well be the new sensation out of HH-stamped productions this year! Randy Brecker is featured on the new Lenny Sendersky / Tony Romana album, "Desert Flower". 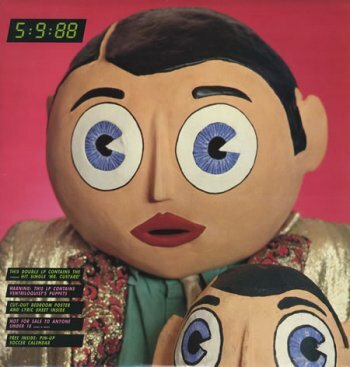 The late Chris Sievey was known to the world as Frank Sidebottom. 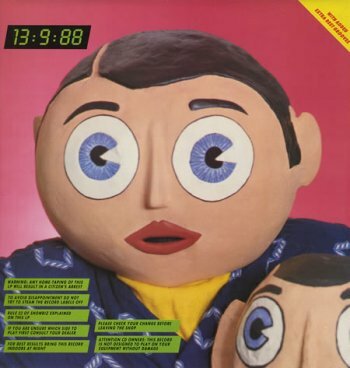 Musician and comedian Frank Sidebottom did concerts, radio-shows and got to be seen on tv every once in a while as well. Sidebottom reworked and recorded Don Van Vliet's 'Mirror Man' and 'Gimme Dat Harp Boy'. Both tracks got released on vinyl in 1988 on his "13:9:88" album. 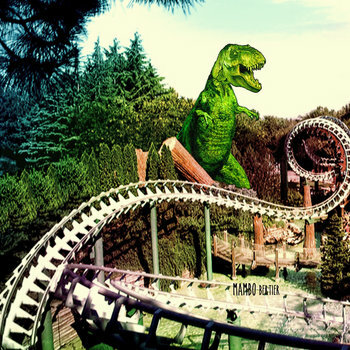 The tracks can also be found on a couple of compilations. 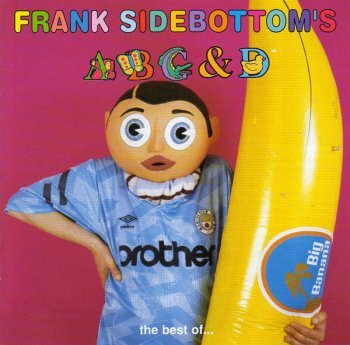 The first Frank Sidebottom album ! 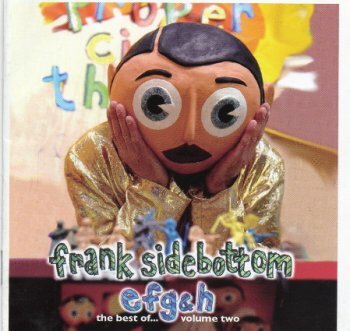 The second Frank Sidebottom album, with 'Gimme Dat Harp Boy' and 'Mirror Man'. Here's the 1999 compilation CD. With both of the Beefheart songs. 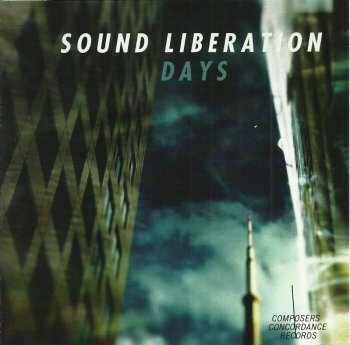 Another compilation CD. Ten years later. Again with both Beefheart songs. Bobby Marquis will be doing another interview with Robert Martin at his "Pure Radio Kaos" radio show on CKCU-FM on Wednesday February 19, 2014. Combining jungle rhythms and asthonishing noises, adding incantatory vocals to a funky beat... That's Babils. 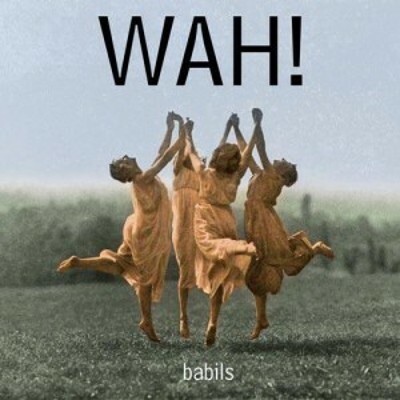 On their latest album, "Wah! ", the emphasis lies on psychedelic soundscapes. Essential listening for fans of experimental music. Thomas Jung used to play the keyboard in SheikYerbouti, a German band that performed the music of Frank Zappa. Actually one of the best bands to perform the music of Frank Zappa. Thomas is about to release a solo album entitled "Painting The Sun". It will be presented on the 10th of May at his first electronic music live concert at the Kulturhistorisches Museum in Neuerkirch, DE. 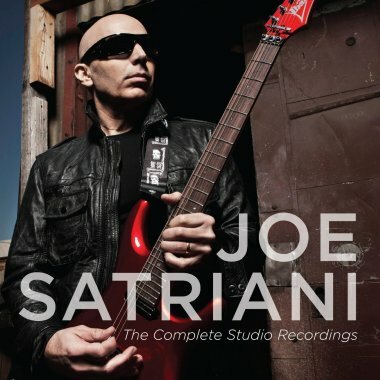 March 2014 will see the release of a new Sound Liberation album. As you should know, Sound Liberation performs the music of Gene Pritsker, a composer without musical boundaries. Gene Pritsker blends soulful rhythm 'n blues with chamber music strings and hip-hop rhymes. And he might add some bop jazz guitar lines on the spot. "Days" collects compositions from different projects. There's music from the "Money" hip-hop-chamber opera, there's remixe of previously released songs, some hip-hop jams based on orchestral samples, and even a couple of live concert recordings. My favourite track is 'What Shall I Do, a beautiful song that features the supeb voice of Chanda Rule, accompanied by a string quartet and a guitar. DE DAMES RIMICO - Barend waar ben je nu toch weer? Sun Ra Research Santa Cruz, Ca. April 9, 1989. Sun Ra, Knoel Scott & John Hinds. From the Sun Ra Research movie, Sun Ra Space Time Continuum. Sun Ra Research Santa Cruz, Ca. April 9 1989 from peter hinds on Vimeo. 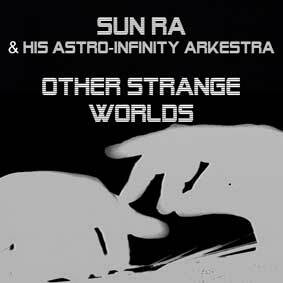 The Roaratorio label will be releasing "Other Strange Worlds", a new Sun Ra release, presenting material from 1965. The January 24, 2014, Philadelphia concert of NRBQ at the 'Underground Arts' featured Marshall Allen, Knoell Scott and Akatune as special guests. Needless to say that the setlist included a number of Sun Ra compositions. French folk artist Swann recorded Frank Zappa's 'Bobby Brown (Goes Down)' and released it on her "Show Me Your Love" 10" vinyl EP. Out on the Atmosphérique record label. FIDO PLAYS ZAPPA - FIDO PLAYS ZAPPA WIRD 10 UND FEIERT! fido plays zappa: fido plays zappa wird 10 und feiert! 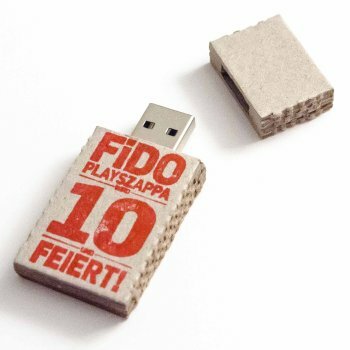 Fido Plays Zappa is celebrating its 10th anniversary by releasing a USB-stick with their complete recent Gare Du Nord concert !! I received the stick last week and really enjoyed the plus 100-minute show. If you're into Zappa's music, you definitely need to see this. Available as full movie on usb-stick (16gb, including audio & bonus-tracks), full movie download (3gb) or audio-only. ELO DA CORRENTE - - - - ZAPPA SAMPLE ?? Are they using a Zappa sample ? About five years ago, I got pointed in the direction of Italian trombone player Gianluca Petrella. Around that time, he had an ensemble called Gianluca Petrella & The Cosmic Band with whom he performed the music of Sun Ra. There's this excellent radio show (July 21, 2008, FM broadcast on Italian Radio Tre RAI) that everyone needs to hear. It's brilliant. This was my introduction to Gianluca Petrella. Around the same time, I bought a CD entitled "Zapping", a project by Furio Di Castri that featured Furio Di Castri (bass), Nguyen Le (guitar), Joel Allouche (drums), Mauro Negri (alto sax & clarinet), Rita Marcoutulli (piano) and Eric Vloeimans (trumpet). This was a great album. All of the compositions were written with Frank Zappa in mind, plus the ensemble did a fine version of 'Twenty Small Cigars'. Mauro Porzi added that the album was in fact predated a couple of years by a concert that also featured Stefano Bollani and Gianluca Petrella !! 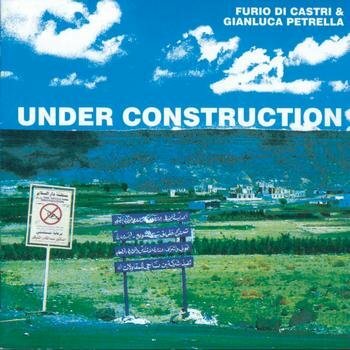 So imagine my surprise when Luc Reniers told me that Furio Di Castri and Gianluca Petrelli had recorded an album together on which they had recorded a Zappa composition. "Under Construction" is a fine album. Furio Di Castri on bass and electronics and Gianluca Petrella on trombone. Icing on the cake is another excellent version of 'Twenty Small Cigars'. If you're into Dutch improvised music, you should be familiar with Palinckx. The band Palinckx was build around Jacq and Bert Palinckx and released 2 LPs and 11 CDs between 1984 and 2006. 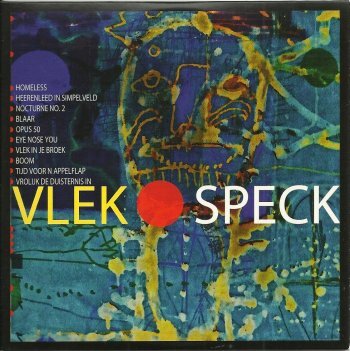 More recently the Palinckx brothers have created Vlek, a Dutch improvised music septet that has its roots in 1970's psychedelic and progressive music. Edward Capel (sax, clarinet), Jeroen Doomernik (trumpet), Hans Sparla (trombone), Jacq Palinckx (guitar), Bart van Dongen (keyboards and electronics), Bert Palinckx (double bass) and Pascal Vermeer (drums) are Vlek. Their first album, "Speck", got released last year and is a lot of fun. A new album is in preparation and should be out in a couple of months. These pictures have been up at the United Mutations Archives for quite a while, but somehow the didn't show. Steve Vai has scheduled one show in Israel and two shows in NL, in his "An Evening With Steve Vai" series. Two years ago, Wonderland Records released this 4 DVD set in a limited edition of 300 (!!) copies. 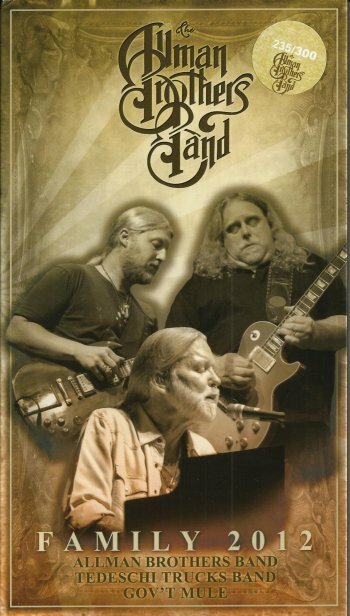 "Family 2012" is attributed to the Allman Brothers Band, but it actually is a collection of concerts by the Allman Brothers and by their spin off bands, Tedeschi Trucks Band and Gov't Mule. I remember Michael Krampe telling me to check out The Allman Brothers Band and their fabulous guitar players some ten or so years ago. "Family 2012" sure proves him right. Disc number four includes Gov't Mule's 2012/06/02 Mountain Jam concert where the band played Frank Zappa's 'Trouble Every Day'. 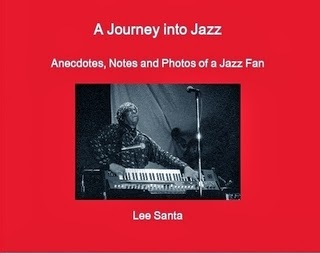 Subtitled "Anecdotes, Notes and Photos of a Jazz Fan", "A Journey into Jazz" let's you make the acquaintance of Lee Santa's musical taste. And, yes, that's Sun Ra on the cover of the album !! Out on Round Bend Press Books. Singer / songwriter Dr. James Coane performs traditional folk songs next to contemporary rock standards and original compositions. 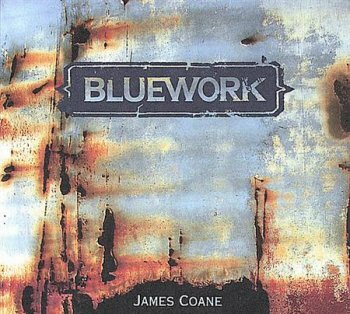 Besides 'Creep' and 'Blackhole Sun', "Bluework" also includes renditions of Joni Mitchell's 'A Case Of You', Lowell George's 'Willin'', and Frank Zappa's 'Dirty Love'. 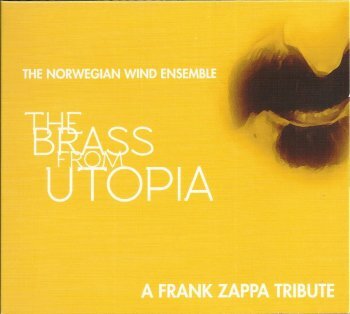 February 2012, The Norwegian Wind Ensemle performed the music of Frank Zappa at the Yellow Snow Festival in Larvik, Norway. It was the first time that I had heard of this ensemble. As audience recordings turned up, it was clear that this was a top band. These guys (and girls) knew how to play. So when word got out that the Norwegian Wind Ensemble was to release an album, this was considered by many as excellent news. And, the band got the ZFT stamp of approval. The new album was to be part of the Zappa Plays Zappa merchandise stand during the November / December European leg of the 2013 tour. Unfortunately, the ZpZ tour-deal did not happen. Even worse, the Norwegian Wind Ensemble's website was not aimed at international visitors and customers. Ordering from abroad was not an option. A number of e-mails later, and thanks to the interferance of Thomas, this got resolved a couple of weeks ago. As a result, I have been playing one superb album at least twice every day for the last week. It might be February 2014 now, but this is without questioning the best album that got released in 2013. Fluent at one moment, short and accentuated the next. Stian Aareskjold did all the arrangements and he did a fantastic job. You need to hear this and you need to hear this now. Street date for the new Gary Lucas / Peter Hammill album, "Otherworld", is February 3 !! Bobby Marquis' Pure Radio Kaos radio show will focus on "Frank Zappa Love Songs" on Wednesday February 12, 2014. From 15:30 until 16:30 h on CKCU-FM radio. Don Van Vliet (AKA Captain Beefheart) contributed to The Tubes' "Now" album that got released in 1977. The same album also included The Tubes' version of Don Van Vliet's 'My Head Is My Only House Unless It Rains'. A great version. 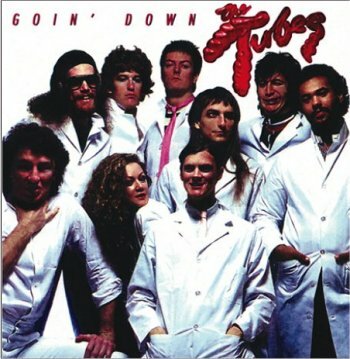 This track can also be found on "Goin' Down", the 1997 compilation album.